Welcome to my new three part series of Ninja Power Yoga Workouts! 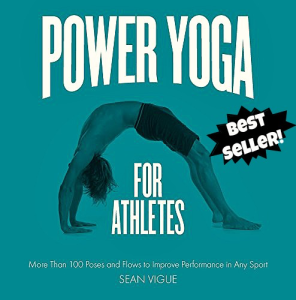 We strive to become “ninjas” in all areas of our lives – at work, in the gym, around the house and even with our yard work (trim the tree with absolute clarity) – and I’m bringing that dedication and practice to these Power Yoga classes in the unique Sean Vigue style. Our focus is on absolute control, precision, light feet, clear intentions and the ability to adapt to any situation that springs up in our lives. Unite the mind and body in harmony and these “problems” become challenges that we will solve. Let the lessons learned on the mat (focus, presence, strength building) carry over into every aspect of your lives. Comment on the videos if you want to see more Ninja Power Yoga style workouts on my Youtube channel and beyond. Oh, and I filmed a “finisher” for this workout which I’ll be posting soon….and I’m off to film a “finisher” on top of the “finisher”…if that’s possible. I say it is! What is to stop us once we get moving, my friends? Let’s continue to thrash those annoying thresholds we place on ourselves and live with strength, integrity and passion. I’m ready, are you? Grab my beautiful ninja yoga mat by clicking HERE. Use code – EVBX-R9JG8E-MF7BQU – for 20% off. 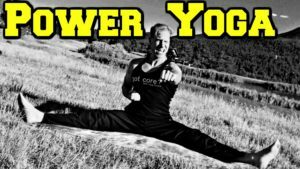 Sean’s 40 Minute Ninja Power Yoga Workout (part 1 of 3) – Leave your feedback in the comment section of the video!